I was so excited to receive this cookbook in the mail. 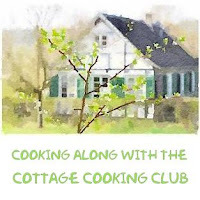 Here is a husband and wife team that create amazing simple and seasonal recipes. The first thought that came to mind after pouring over the pages of this cookbook was that these people are the real deal. Right away you take away the fact that they care deeply and are very mindful in the kitchen. The meat dishes at the restaurant are thoughtfully created as they talk about buying the whole animal and try to use the entire thing. They do the same with veggies too. Even the parts that I consider unusable have found a way in many of their recipes. One such recipe is their herb jam, which I will be preparing next. This particular recipe uses a mix of sweet and strong greens along with garlic, spices and chilies and is on their menu daily to compliment other meals. The first dish I prepared was the Smashed Cucumbers with Chilies and Mint. Here the cucumber is roughed up a bit with salt and then whacked with the heel of your palm. A lovely garlic, salt, mint, lemon and lime dressing is made and poured over cucumbers, sorrel, green onions and pickled chilies. The result is spicy, salty, and super fresh all at the same time. Lovely, lovely side dish. My husband and I have already decided that the next time we are in the Bay area we will make a special point of dining at their restaurant. This dish looks and sound amazing. Sounds like a great recipe book. Hi Dawn, oh it is a great book, I love collecting them. Happy Holidays! Hi Tandy, yes I will, sounds like it can go with many other dishes too. Take care! the smashed cucumber dish sounds wonderful. that's great that you have found lots of recipes to try out. Thanks Sherry, yes it is a great cookbook. Making the herb jam soon. 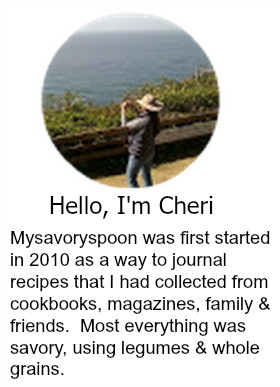 Dear Cheri, the book as well as the recipe sounds wonderful, flavorful and very healthy! And I browsed through som eof the pages from the book on amazon - it certainly looks wonderful with more fabulous recipe ideas and great photography! Hi Andrea, I should of mentioned the photography,it is amazing!!! Happy Holidays! This sounds like a great book. I truly believe that you can never have too many cook books. I have so many, but I am always buying more. Wow! Smashed cucumber sounds amazing. And this cook book sound wonderful. Hi Anu, it's an incredible book. What a wonderful fresh looking dish. Bravo to conscientious cooks! Especially those who are mindful of respecting the lives of animals =) The cucumbers tickled with salt and spices does sound spectacular. Thanks Kim, I like the way you described the cucumbers. Already looking forward to the herb jam! That'll add to my fruity salad dressings nicely. Thanks Johnny, sounds pretty good doesn't it. Love freshly prepared salads ... yum! Thanks Dena, Happy Holidays to you! Love the sound of that recipe! Looks like a good book! Thanks Caroline, it really is fantastic! Hi Karen, smashing cucumbers in very theraputic. happy Holidays! I love how adventurous and active you are in trying out new recipes and cookbooks! It is very inspiring. 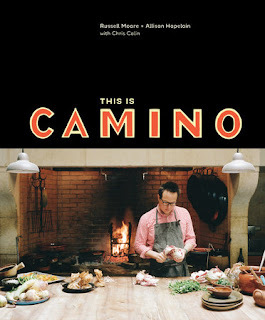 This cookbook sounds great..have heard great things. Thanks Monica, the restaurant sounds amazing too! Sounds like a great recipe book! Lucky you! Sounds delicious. I always love a new cookbook! How interesting - and I love the idea of roughing up a cucumber! Never tried that before but eat them at least 5 days a week. Have a wonderful day! Hi Tricia, you are so funny, had to chuckle a bit. Happy Holidays to you! Such fun to peruse new cookbooks, Cheri. This one looks like a winner! Thanks Barbara, it really is. The book sounds great, I'm going to look it up, thanks! Smashed cucumbers? I can get into smashing cucumbers. Sounds like a fun dish, and an interesting cookbook. Thanks! Thanks John, there restaurant sounds incredible, it's on the list. Sounds like a good recipe and an interesting cookbook!